In 2006 Gail Ramesh attended the Captivating Retreat hosted by Ransomed Heart Ministries in Colorado. This experience changed Gail forever. She came back to Michigan with a fire in her heart that women all over the Midwest should hear that Jesus has a personal freedom and healing that they are deeply and desperately longing for! From there Gail created a team, and in the Spring of 2007 they launched their first Unveiled | Spring Retreat. Since that time the Unveiled team has been honored to serve hundreds of women from all over the nation at their retreat. As the ministry grew, so did the various needs, and the next step was to make Unveiled an official non-profit ministry with a 503(c)3 status. This was done in 2014 under the name, Living Out 3:18 Ministries, based on 2 Corinthians 3:18, and is the umbrella that Unveiled comes under. 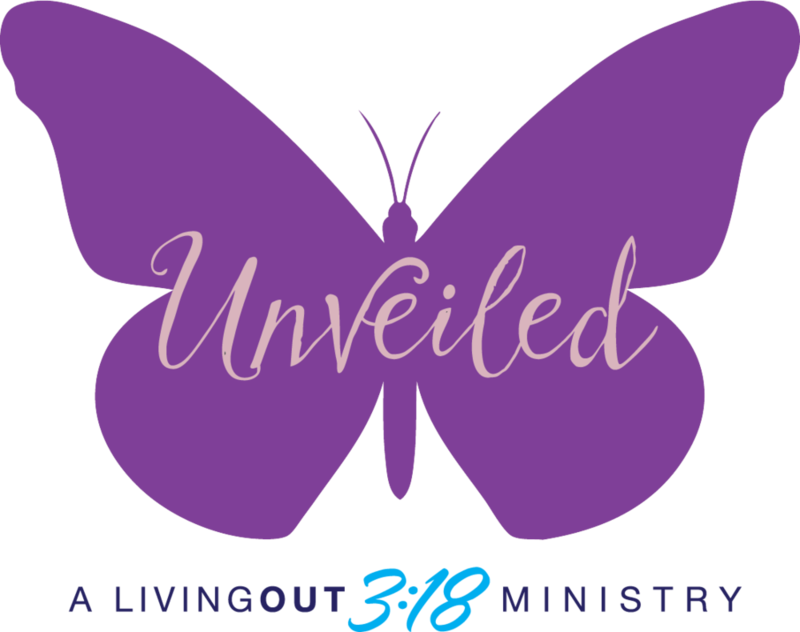 As the Unveiled |Spring Retreat grew, the ministry heard the women asking for more. So, in response to women wanting more time with Jesus, the Unveiled team launched Unveiled | Fall Retreat. This retreat is different than the Unveiled | Spring Retreat, but it has the same mission and vision the Spring Retreat has, to provide personal and in-depth encounters with Jesus Christ for those on a journey of growth, restoration, healing and transformation. But these women wanted even more, so along came Unveiled | Kaleidoscope. A Kaleidoscope is what you call a gathering of butterflies, and this has deep personal meaning to Gail Ramesh, the Unveiled founder and speaker, and the call that God has placed on her life to not just teach women to fly, but to soar! Unveiled | Kaleidoscope is a church-hosted event that brings the message of Unveiled to a women's church home. It has been so exciting to have followed God's leading since that first retreat in 2007, and to see where God has brought this ministry. The women's lives we have impacted has been nothing short of miraculous! We have been honored to have literally seen women's lives saved, marriages restored, hearts won back to the Father, and women given hope like they never dreamed possible! Unveiled has been such a transformational place for women, but there are so many more women, all over the world, that we long to reach the hope and healing message of Jesus Christ. We are so grateful that you have come to our page, thanks for stopping by here! Know that if there is any way we can serve you, come alongside of you in your journey, meet you at one of our retreats, or send Gail to speak at your church, we are here to serve you however God would lead!